The National Kidney Foundation of Michigan in Ann Arbor has elected Michigan Medicine’s John C. Magee as chair of its board of directors. Magee joined the board in 2012 and served as secretary for two years and as vice chair until he was named chair. He replaces Jin-Kyu Koh, who served as chair for the past two years. 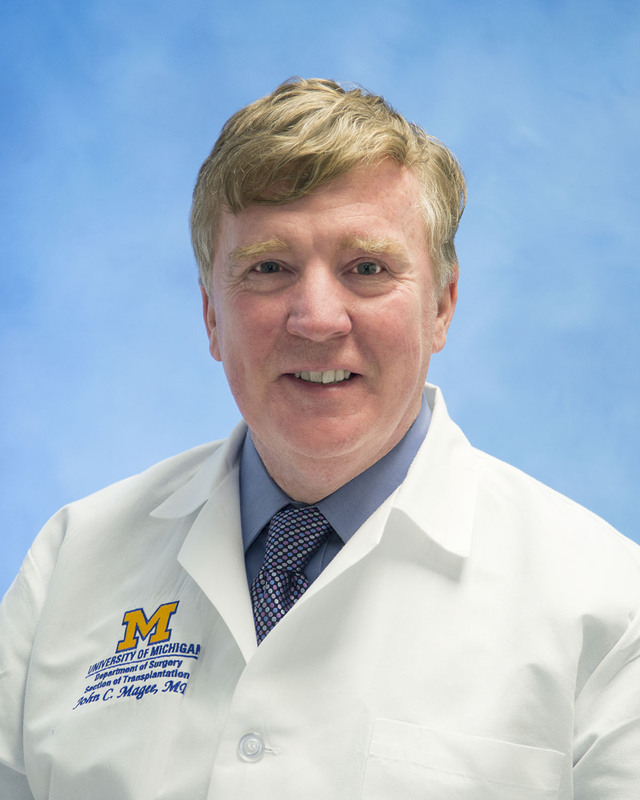 Magee is the Jeremiah and Claire Turcotte Professor and head of the section of transplantation in the University of Michigan department of surgery. He was also a professor of internal medicine and pediatrics and currently serves as the director of the U-M Transplant Center and as the surgical director for pediatric abdominal transplantation. He performs kidney, pancreas, and liver transplants. Magee received his undergraduate degree from the University of Pennsylvania and his medical degree from Jefferson Medical College in Philadelphia. He completed his general surgery residency at the University of Michigan in 1996. During his residency, he spent three years as an immunobiology research fellow in the department of surgery at Duke University Medical Center. He also completed the post-doctoral cellular and molecular biology research training program at the University of Michigan. After completing a two-year, multi-organ transplant surgery fellowship at the University of Michigan, he joined the faculty in 1998. Magee’s primary research interests include improving the care of adults and children with end-stage organ disease, focusing on the role of transplantation, organ donation, and organ allocation. He has held several leadership positions at the National Kidney Foundation of Michigan, the Organ Donation and Transplantation Alliance, and the American Society of Transplant Surgeons.